Britain will seek a delay to Brexit after a series of cliff-edge votes this week. Now Brexiteers have a choice — to tolerate a delay that could derail leaving the European Union, or support Theresa May’s reviled Brexit deal, which goes before lawmakers. 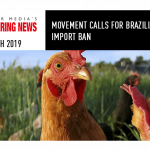 There is a risk of the UK dumping its poultry products on SA’s market, in the case of a no-deal Brexit, the FairPlay Movement has warned. 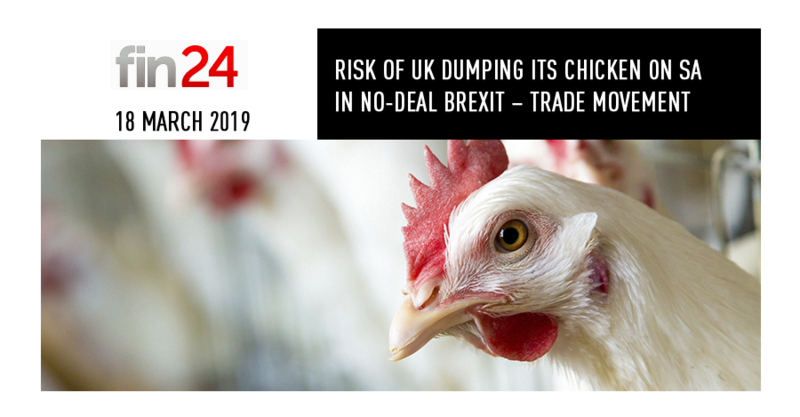 The not-for-profit trade movement on Friday issued a statement warning of the drawbacks for SA’s poultry industry in the case of a no-deal Brexit. “South Africa may have to guard against a renewed flood of ‘dark meat’,” the statement read. Dark meat is mainly the leg quarters, drumsticks and thighs of the poultry. “A lot of the UK’s ‘dark meat’ currently goes to EU markets. If Britain crashes out of the EU without a negotiated exit deal, these markets could close and UK producers would be looking for alternative export opportunities,” FairPlay explained. 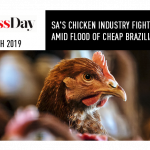 SA’s poultry products are cheaper than any EU countries, but because of the EU’s sanitary and phytosanitary measures SA poultry has been blocked from the market. Once the UK leaves the EU, it presents a new market for SA poultry exports, FairPlay explained.